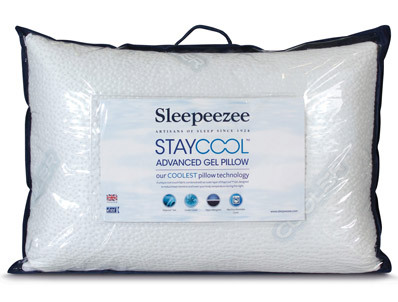 The Sleepeezee Staycool Advanced Gel Pillow offers a really cool pillow for those of us who get warm in bed especially the head. It has a revolutionary cool fabric cover that is all over the pillow and is about 1cm in thickness. The inside of the pillow is Cool Gel Memory foam pieces made to give the broken and loose feel that you would get from feather or down, thus helping the mattress stay cooler during sleep time. This pillow is larger than the Loren Williams pillow and has a cool fabric cover on both sides hence the difference in price. 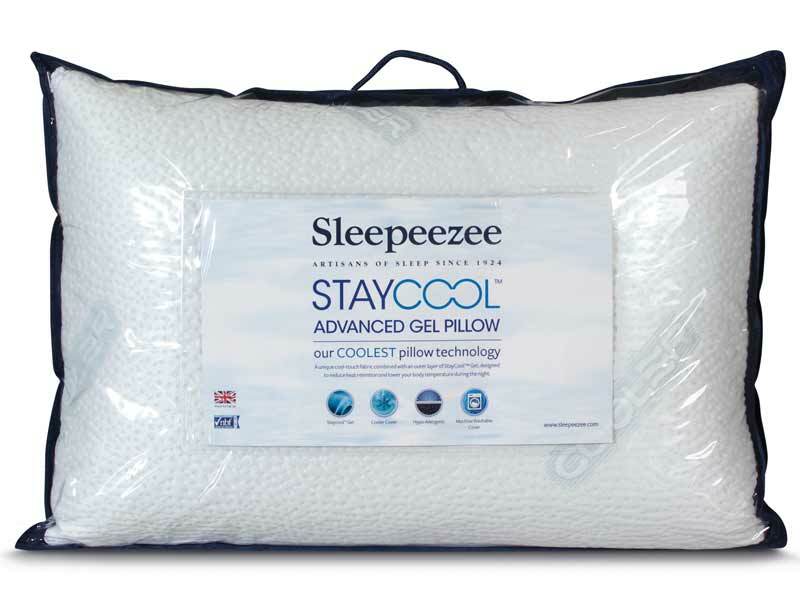 For best results use the pillows with the Sleepeezee Cooler Supreme 1800 Pocket Mattress (click HERE to view mattress).